2 by 3 Heroes: Just the hits, ma'am. 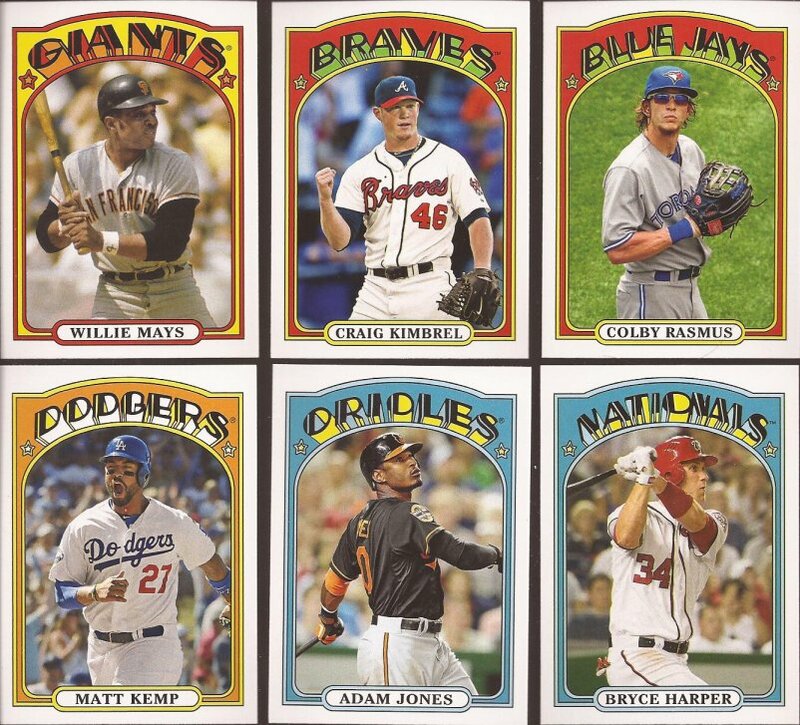 We are probably all on overload with Topps 2013 release. I finally got a chance to get a few packs, and from here on out, it's probably a pack or two here and there. Yeah - I am probably full of crap saying that, but it sure sounds nice. Anyway, after the bank account damage done today, let's look at the final totals of what I consider are my hits. 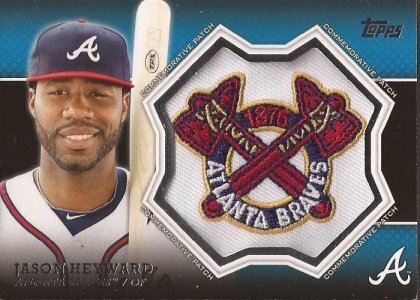 This comes from a blaster, a rack pack, 2 jumbos and 5 retail packs. You want to collect One Direction cards, Owl. 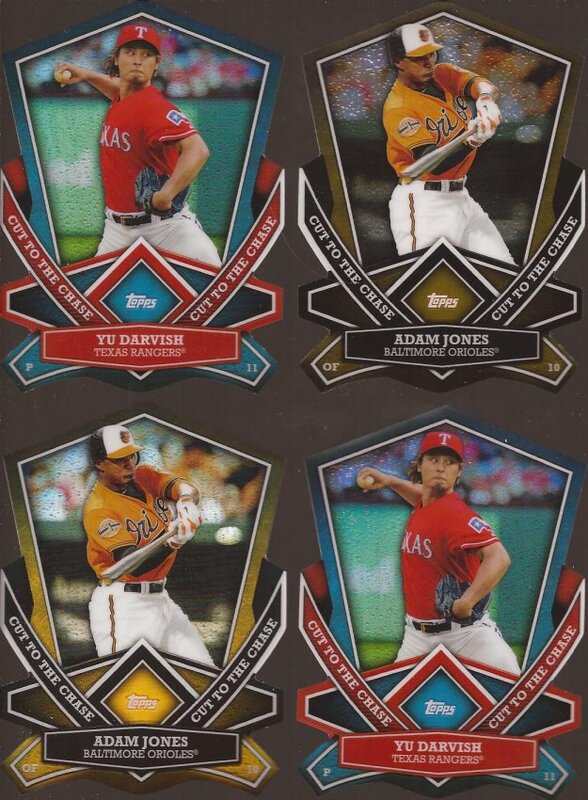 Four die cuts. And yes - it is exactly like you see it. Two different dang players. My dumb luck. So if any of you have a die cut of a White S....what. There are none? Dammit. Ummm.... if you are interested, let's talk. From my blaster. Everyone contain your excitement. Make a single, orderly line. Yeah - this is also available for trade. Nick said it best - that is a killer photo of Feller. There is such an incredibly large library of images in the world from older players. 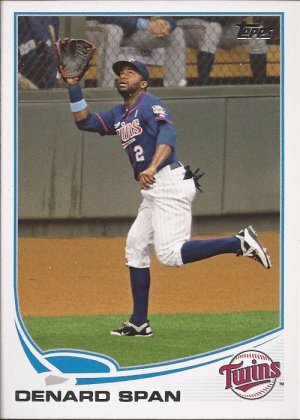 Topps should work on finding those odd pictures and get them on cards. "Game day bucket g..." Hell if I am saying that about this. However, that black border was a great pull from a jumbo pack. Now I just need the red, blue, pink and cammo to get the rainbow of Kotchman. Oh yeah - I forgot. I don't give a crap about him. 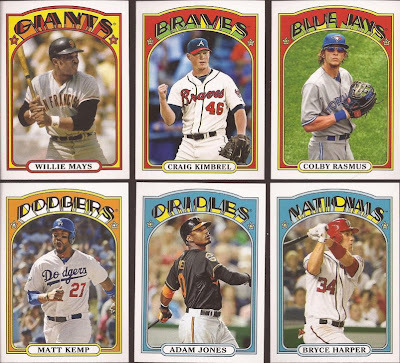 Ok - there's my final take on 2013 Topps for a few months. Love the Feller. 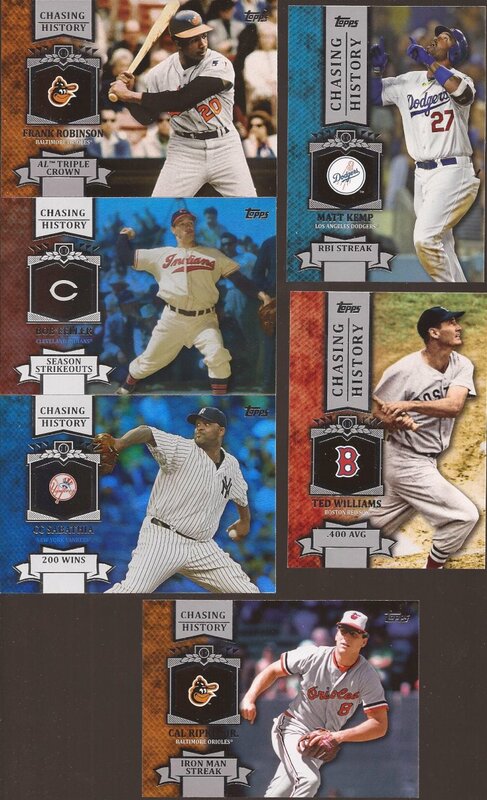 One of the few redeeming qualities of those "Chasing History" inserts. I'll take the Kotchmans off your hands if they're available, Jeff. Oddly enough, he's the force behind one of my largest player collections. I have a few of your 2001 UD Hall of Fame needs and should have some other cards you'd like. I probably owe you some cards from all the great cardboard you've sent me lately, anyways. Kotch-face is more like a disease than an expression. All-glove, not hit. It ain't in the mail yet. Oh wow. This is awkward. "Oh yeah - I forgot. I don't give a crap about him." LOL. I think this all the time, especially when I get a tough-pull variant for someone I don't give a crap about. In the meantime, I have that card in Wal-mart blue if you change your mind....takes four to make a rainbow, right? Kotchman trifecta....thats kinda messed up. 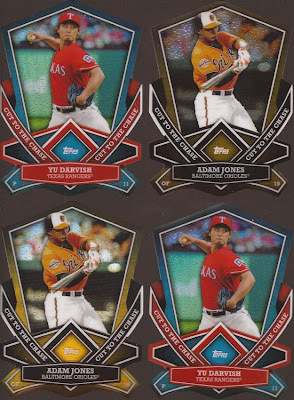 I still like that Adam Jones diecut here too. When's a trade not a trade? Sunday SIL: I've been framed!